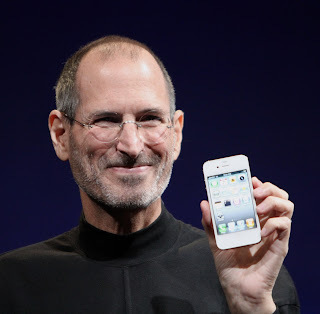 I aggree with your take - and anyways I am truly over the Steve Jobs/Apple obsession. It's always seemed to me like a triumph of marketing/design beauty over functionality. Improving healthcare seems primarily an exercise in cutting through bureaucracies and regulations - taking on Sir Humphrey rather than achieving design nirvana. How could a person who never even studied biology [let alone chemistry] & left college before even one year 'reinvent' drug discovery? While I agree that a "Steve Jobs" approach to drug discovery will not work, this was not the point of the article on Stat (I think). Of course biochemically minded people like us will immediately think of drugs, which will not benefit from Jobs' approach. But in the rest of healthcare there are a lot of things that could be better in terms of usability and intuitive use, exactly the things that set the iphone apart from the other phones at the time. Maybe a new cancer drug or vaccine sounds really good, and it will definitely have some awesome science behind it, but an app, trick, or usability improvement that makes 5% more people take their medicine at all or on time will save many more lives. Agreed. "Healthcare" is too big a tent for a Steve Jobs to consistently fail.